you’re interested in a new BMW X2. you can discover it in Microsoft Hololens. Share your hologram with your car through social media. But this is not possible everywhere, however. BMW and Microsoft have developed the BMW X2 Holo Experience for the new BMW X2 campaign. using a mixed application reality, potential buyers can interactively explore a new vehicle model (type “SUV Coupé”) from Microsoft Hololens. This allows the following actions to be carried out. The BMW X2 Holo Experience is based on the Microsoft Azure cloud platform. Apart from Hololens, various functions are supported: From user administration, experience control, scalable hosting of all resources to sending individualized e-mails with holographic self-diagnosis. For example, a visitor’s photo is created and the reproduction and transfer of digital information to the application is done in real time. During the campaign, visitors can still experience a holographic image of themselves. The car’s holographic construction is automatically sent to the user in front of the BMW-X2 and can be shared via social media. Together with X2, we are addressing a relatively new, digital and young target group that also expects special and contemporary communication experiences,” says Uwe Dreher, head of brand communication at BMW. Holo-Experience provides the desired technical effect, thanks to which we can also inspire this target group and innovative technology to the maximum extent, fun, fun and entertaining. Young people, especially the internet, digital and intelligent customers, are becoming increasingly important for car manufacturers. Volkswagen also directs its new T-Roc company to this group of customers. 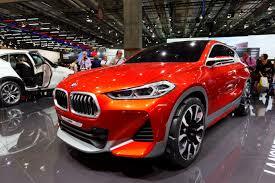 However, BMW customers are not able to explore the new X2 with any BMW dealer.This BMW X2 Holo Experience” is available only in selected BMW showrooms, exclusive halls, Brand Experience Center in Zurich, Brand Experience Center in Berlin and Munich and BMW Brand Experience Center in Zurich. Further locations will be available.